Ulrich is one result of mating Great Guns Moses 50D and Ms JMC Honeybun H460. This mating has produced us several feminine daughters with sound udders and excellent milking ability. The sons are even stronger, with stout necks, deep middles, wide tops and large testicles. To date this mating has produced blazed faced or ring eyed calves. Ulrich is the prime example. 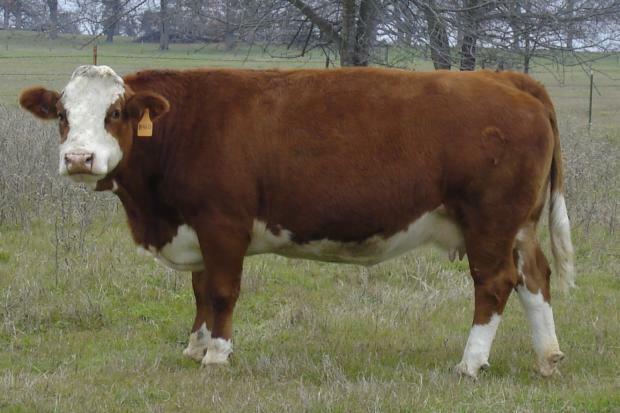 The bulls from this mating that we have used have continued that color pattern. Ulrich will be 17 months old come sale time. He will be solid and ready to go to work. He has a 40 cm scrotal at 15 months of age. For more information call 903-539-1666. 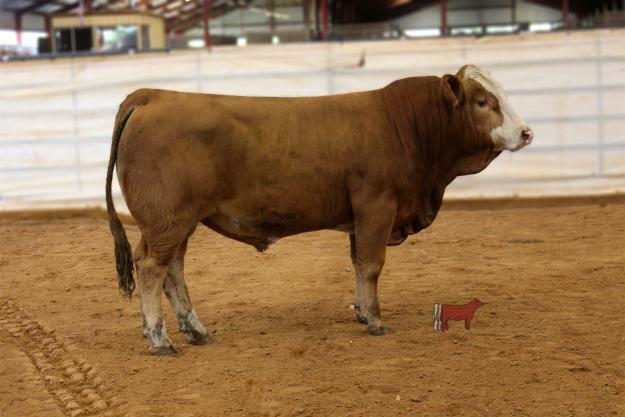 Consigned by K5 Rafter Top Simmentals, www.k5simmentals.com.